In an age when authenticity and provenance are given increasing priority by consumers, the story of Hamilton-based Equi’s Ice Cream is a blend of many compelling elements. Its history dates back more than a century, spanning continents, while it is still run by the same family, and harnesses locally sourced ingredients. In the 1910s, Pietro Equi and his uncle Dante left Tuscany to seek their fortune. Dante ended up in New York, but Pietro settled in Hamilton, where he started the cafe at Peacock’s Cross in 1922. He was keen to emulate the gelato he missed from his homeland, buying milk and double cream from a local farm, heating the mix himself and leaving it outside to cool before it was churned by hand and then frozen. The business was in 1964 taken over by one of Pietro’s sons, Robert, who oversaw developments such as a move to new premises across the road and increased production capacity. After Robert died in 1995, the MD seat was filled by son David, who remains in the role today. Speaking from the Hamilton office, a room where his father was born, he explains that he had grown up helping out at the family firm, but had gone to the University of Edinburgh to study business and pursue his own path. But on graduating he found it difficult to find a job, and returned to the ice cream firm to help out on a temporary basis. His role has since seen him attend Gelato University in Italy, pick up a host of awards, and visit Madagascar to learn more about its vanilla production. He was also elected UK national president of the Ice Cream Alliance in 2000/2001. The MD had also been keen to grow the firm’s wholesale arm – having started out making deliveries himself by car – and building a factory and production unit in 1999. 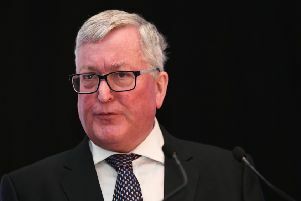 And he proudly notes that the firm is now the largest ice cream manufacturer in central Scotland – producing 16,000 litres a week – and the second-largest in Scotland after Mackie’s, which started making ice cream in 1986 and last month reported record sales in 2018. Equi’s has contracts with Asda, Morrisons, Co-op and wholesaler Brakes, and has more than 20 staff on the manufacturing side, the area he says has the biggest potential. 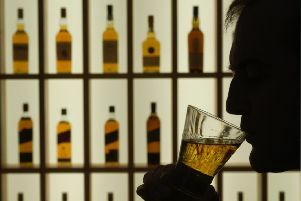 As well as its flagship site in Hamilton (also present at the town’s racecourse), it has parlours in Motherwell and Aberdeen, as well as more than 250 locations across Scotland stocking its products. Export is also a key focus, says Equi, looking to increase this part of its business to some 5 per cent of sales. The business last year sent its ice cream over to premium US grocer Central Market in Texas, in time for its Scottish theme in stores during September, with the chain agreeing to add four of its flavours to its line-up. Equi’s last month exhibited at trade fair Casual Dining in London with Scotland Food & Drink, with the latter focused on growing the value of the industry, which it notes is Scotland’s largest employer, to £30 billion annually by 2030 from £14bn currently. Equi’s core market remains Scotland, and after experiencing “significant” growth, “we’re planning on growing by at least 10 per cent a year for the next three years”. The business aims to use Scottish ingredients where possible, and flavours include Isle of Skye sea salt and caramel, and raspberry cranachan. Flavour experimentation is ongoing, and the firm has over the years unveiled limited editions such as Tory Blueberry, and Rose-Tinted Labour, to celebrate the first Scottish Parliament elections in 1999. But the MD stresses that any new options have to be within reason rather than gimmicky. “You can’t just chuck anything at random in,” he says, laughing that he dismissed one suggestion of making fish and chip ice cream to give the business a higher profile. That said, there was also a pink grapefruit and bergamot combination “that I thought was nice – but nobody else did”. New options inevitably have to be commercially viable, and the most popular choices depend on location, with its experimental flavours put on sale in Hamilton, “and people always buy it, no matter what it is”. And he noted that in Scotland the traditional best-selling flavours are the classics – vanilla, chocolate, strawberry, and mint choc chip. A report from Allied Market Research predicted that the artisanal division of the ice cream market is projected to register the fastest compound annual growth rate, of 5.7 per cent, between 2017 to 2023 due to growing consumer demand for handmade ice creams made with high-quality ingredients. Equi also brought his decades of experience in the industry when he became involved in West of Scotland institution Nardini’s, a favourite of seaside daytrippers with roots dating back to 1890 when Tuscan-born Pietro Nardini arrived with his family in Renfrewshire, putting down roots in Largs in 1935 when they opened their eponymous cafe. As well as boosting exporting, his targets includes opening new retail sites, and growing production to a million litres a year – from in excess of 800,000 currently. It also returned to its Tuscan roots in 2017, impressing the judges at the European Gelato Festival in Florence with its sorbet made from raspberries flown in from Aberdeen and Deeside mineral water – and its scooping skills.